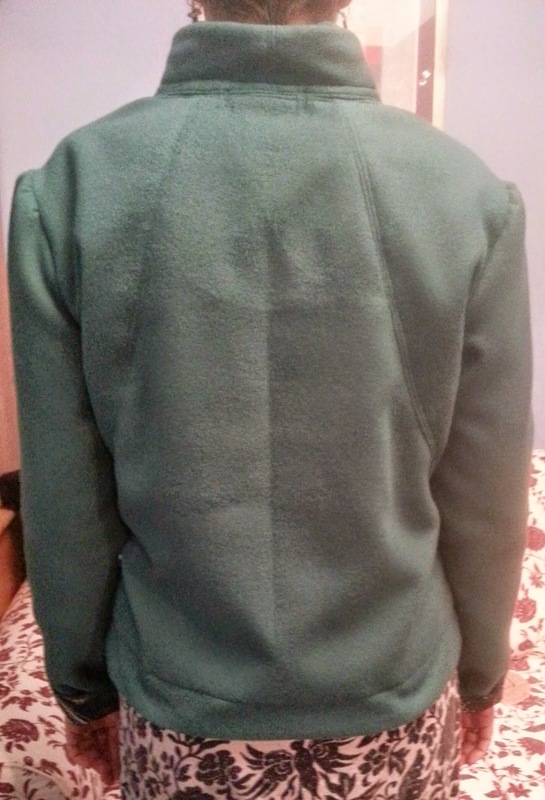 Creative Living: I made a jacket! Well, it's been a while, busy with other things and sadly haven't had a lot of time for creative things, but then I had a free weekend and made a jacket. I'd seen the coating material by chance when I was buying some other material and it really caught my eye. 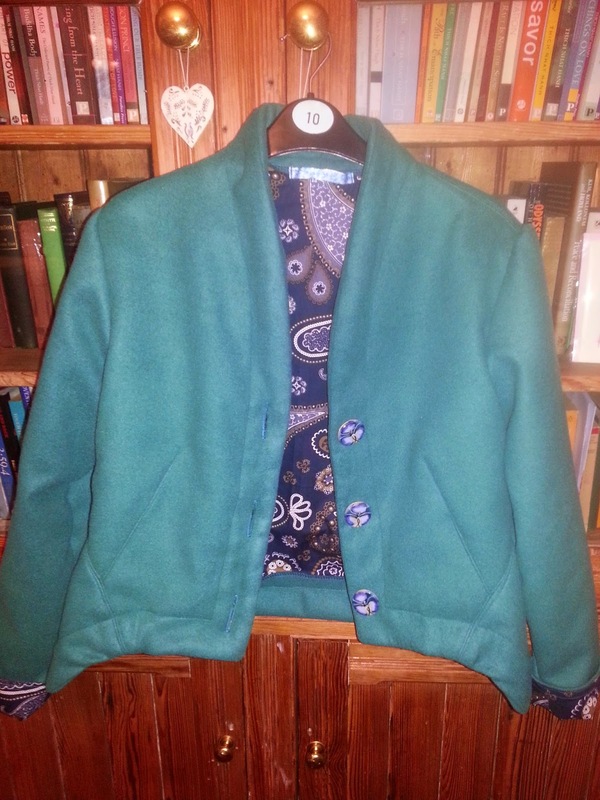 Then I found a lovely jacket pattern online and it all fell into place. Nice and cosy for the cold weather! The lining is a duvet cover from Ikea that I bought as skirt material. Just the job. 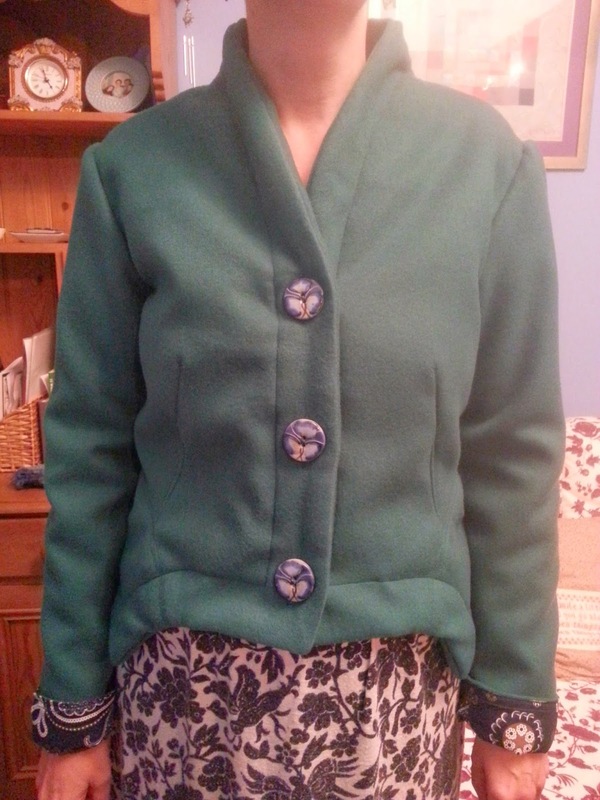 And the buttons were a last minute find from Hobbycraft this morning. Nearly gave up when I saw the traffic queue to get into the shopping centre!